A rumor is swirling that Anna Paquin is pregnant, but is it true? 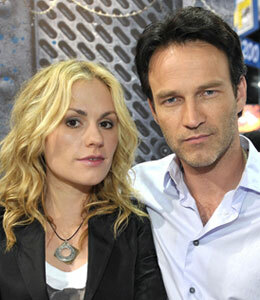 The "True Blood" star's rep tells Usmagazine.com Paquin is not expecting. The actress will be a stepmom to fiancé/co-star Stephen Moyer's kids. Moyer has children from prior relationships. Paquin, 27, and Moyer, 39, got engaged at the beginning of this month.